Fort Lauderdale is witnessing a boom of new developments on the market, which has come after two years of constricted inventory. 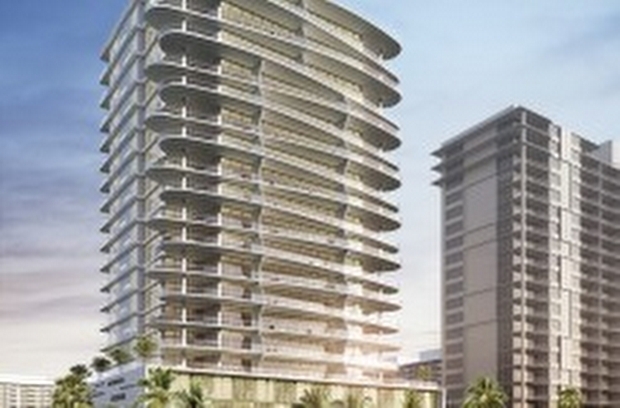 Auberge Beach Residences Fort Lauderdale is one of the latest in this development frenzy. Auberge consists of two contemporary glass towers facing north (17 stories) and south (20 stories), featuring 171 expansive residences, all with private elevator access. Each are located on North Ocean Boulevard directly on 450 feet of pristine sandy beaches on the Atlantic Ocean. Pre-construction prices range from $1,500,000 to over $9 million, and range in size starting at 1,500 square feet up to over 5,000 square feet for penthouses. It is an ultra-luxurious resort style oceanfront property affording residents the top amenities in a premier Fort Lauderdale Beach location. Auberge Beach Residences’ amenities include spa, personalized concierge services, pool and beach club service, and yoga and meditation area. The Auberge Spa is likely to service not only residents but those seeking the highest level of relaxation from all of Fort Lauderdale and exists on its' own. 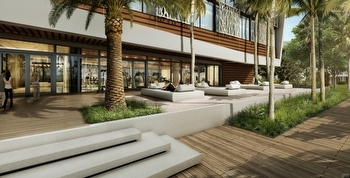 It also will have an extensive curated collection of contemporary art in its public spaces and throughout the property. Other features are a business center, childrens playroom, and library. These amenities are extensive and are some of the most refined in todays condominium market. Individual residences at Auberge boast 9’ 6” ceilings and floor-to-ceiling windows with breathtaking views of the city, Atlantic Ocean and Intracoastal Waterway. All residences above the second floor will have unobstructed north views and each residence has an oversized terrace, some with private pools in select residences. Each residence has private elevator access, is pre-wired for high speed and wi-fi, comes with a designer appliance package including Sub-Zero, and Wolf, with baths appointed with deep soaking tubs and walk in closet. 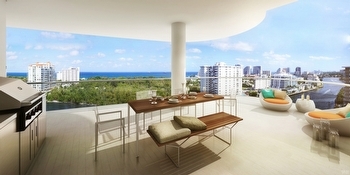 For more information on preconstruction pricing and other new construction in Fort Lauderdale, please contact me today! Fort Lauderdale has witnessed constrained inventory and developers have responded by announcing numerous preconstruction opportunities to the luxury condominium market. Not only are there many preconstruction properties to choose from, but they are literally selling out within months of allowing reservations. One of the properties that is expected to sell quickly is Aquablu, with 8 contracts already pending. Located in a prime location directly on the Sunrise Intracoastal Waterway at 920 Intracoastal Drive, AquaBlu is a boutique luxury preconstruction waterfront property offering 35 residences and is developed by Ocean Land Investments. Prices of currently available units range from $1,612,680 to $2,524,950. Some of the special features that these multi-million dollar condos will offer include 10 boat slips with deep water open access wide canal, smoke-free environment, and electric car ready garage spaces. Amenities include a resort style heated salt water pool, outdoor barbeque area, state of the art fitness center, Zen gardens, outdoor storage for kayaks, paddleboards, etc., Wi-Fi in common areas, semi-private elevators that lead to individual foyer entry, and 2 garage spaces. Residence features that are standard on units are large open floorplans with high ceilings, beautiful views of the Intracoastal Waterway and downtown skyline, quartz countertops, Subzero and Wolf appliances, chefs kitchen, large walk in closets, frameless glass enclosed showers, and Smart technology. 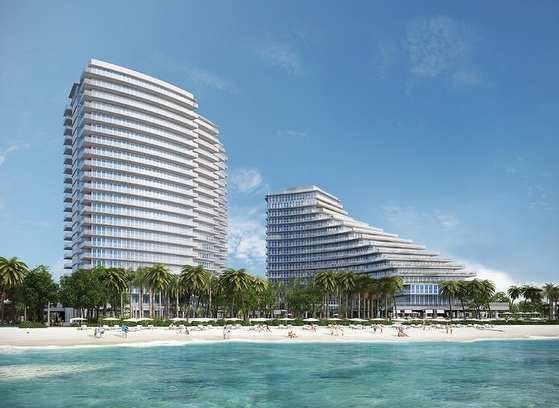 Ocean Land Investments has already nearly sold out Aqualuna, another project in Fort Lauderdale and I expect AquaBlu to sell quickly as well, for more information on reservations please contact me today!